Summer has begun, the beach beckons and Francesca Schnell is going nowhere. Four years ago, Francesca s little brother, Simon, drowned, and Francesca s the one who should have been watching. Now Francesca is about to turn sixteen, but guilt keeps her stuck in the past. Meanwhile, her best friend, Lisette, is moving on most recently with the boy Francesca wants but can t have. At loose ends, Francesca trails her father, who may be having an affair, to the local country club. There she meets four-year-old Frankie Sky, a little boy who bears an almost eerie resemblance to Simon, and Francesca begins to wonder if it s possible Frankie could be hisreincarnation. Knowing Frankie leads Francesca to places she thought she d never dare to go and it begins to seem possible to forgive herself, grow up, and even fall in love, whether or not she solves the riddle of Frankie Sky. 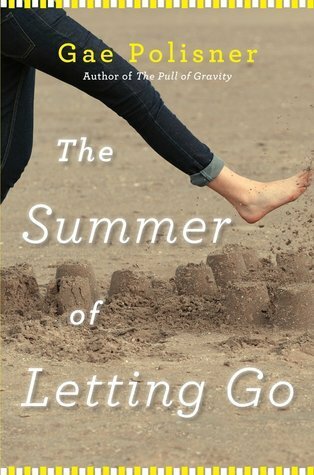 I wanted to read the Summer of Letting Go because it sounded like quite the emotional journey and the tough issue of feeling responsible for your little brother's death had to be something that wasn't easy to overcome. I also was curious where the story would go as to the little boy in this world structure he was really incarnated, or she just placed her grief glasses on in regards to the little Frankie. At first it appears that it is just an easy breezy beach story with Francesca being a third wheel to her best friend Lisette and the new boyfriend Bradley, who Francesca is also crushing on. Talk about drama. I wasn't sure if I could deal with that storyline, but I still stuck with it because I wanted to see how her healing process was going to go. It took a bit for me to connect with Francesca like I wanted to. Her emotions seemed closed off, that she talked about the events and her feelings and it should have had an impact on me, but it didn't for a while. But again, I stuck with it because I wanted to see her relationship with little Frankie who reminds her of Simon, her deceased brother. The idea that her brother was somehow in Frankie Sky was an interesting premise as Simon died on the same day Frankie was born. They act and look in similar ways and there is the love of the frogs. I think that her resolution was what most kept me invested in the story as well Frankie Sky's personality and precociousness. The cheating and lying and mistrust between her and Lisette, her and her family and her dad's possible affair all kept the story moving and drama filled. The best friend relationship though is sacred to me and while I know that things like this happen in the real world I know it is a hot topic and some of my readers can't stand to read about it. I think that the ending felt a bit rushed and wrapped up a little too neatly for all of the mess that was Francesca's life, but I suppose that some readers will write off as fitting for the story. I do think that I saw a lot of growth in Francesca, and her ability to learn to heal and decide the kind of life she wants to live and most importantly to stop blaming herself is really what made this story and was the most memorable looking back. Bottom Line: Emotional but somewhat flawed story of a girl's healing and the little boy who ushers it into her life. What are your beliefs in reincarnation? Although the ending was a bit rushed it's good to see you still liked it. Sounds like a drama filled read. Awesome review! Glad you liked it even though you had some issues connecting with the characters. I don't know how I'd handle the cheating, that not one of my favorite plot lines. Great review! I had some of the same thoughts as you, especially about the end. I felt like I still had questions that were never answered. But overall, an enjoyable read. Ahh, the infamous love triangle type--best friend and your crush.. Hmm. That's a hard one and I imagine lots of drama indeed. I'm sorry the ending didn't satisfy you all that much, but I'm glad you enjoyed this one as a whole even though this book clearly wasn't perfect. Lovely review, Brandi! LOL, never thought of it as the love triangle, I just saw the cheating because best friend and boy were together. I'm not a fan of over-the-top relationship drama, and this sounds like it has that element in spades. Cheating and lying and mistrust. No thank you. Thanks for the heads up. Sounds like some aspects of the story could have been better, and that's a bummer the ending was a bit too wrapped up for you! Thanks for sharing though. Although this story didn't 'wow' you, it does seem like you got some enjoyment out of it. And I always like to see a character grow over the course of the story. Nice review, Brandi. I don't like the sound of the cheating and lying between the family members, kind of puts a negative feel on everything. I like the new layout of your blog it is much easier to see and read your reviews. Sorry you didn't enjoy this one so much, but I hope you next read is better. Great review! Does that comfort you that deceased family and friends might be back? You know, in high school and for quite a few years after, my best friend saw/messed around with another very good friend of hers boyfriend. With two different guys. Same girl. I never let her spend time with my boyfriends and she was married by the time I met my husband, thankfully. But it happens. The friend forgave my best friend and blamed the guy for not being faithful. It was a lot of drama and I felt like crap for knowing. But I wondered most how my best friend lived with herself. I was never sure if she was just jealous of the other girl's life or if she really liked the boy. We aren't friends anymore. But no telling what would have happened had we remained friends. Would she be dating my husband??? As for your blog redesign- Much better! I thought it looked fine. No complaints. But the load time was so long. Both to load the page and then for it to accept my comment. It just loaded a lot faster. I didn't really connect with the story well. I love some other parts, but overall it was underwhelming. The spiritually aspect with the brother and the kid thing made me uncomfortable. It feel preachy to me. I'm sorry you didn't enjoy this as much as you'd hoped to. I am glad to see Francesca does experience growth! The story has quite a few interesting elements, but I wonder if I'd feel convinced about the healing journey of Francesca. Not sure about reincarnation but I think it's nice if the idea of reincarnation could help a person move past grief and feel better. 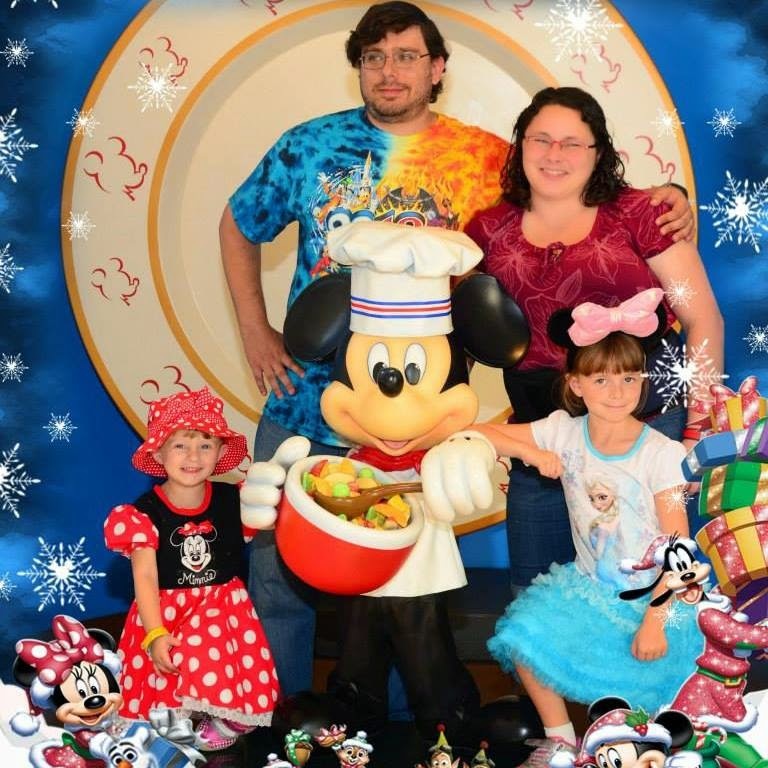 Thanks for sharing, Brandi! Hmm, not really my thing. Sorry it wasn't so great for you. This is one of the stories I run away from. :/ Great review. I was curious about this one. Too bad it wasn't as good as you were hoping it would be. Sometimes it is hard to enjoy books when you have a hard time connecting with the characters. Interesting, but you are right. Kind of a hot topic. Not sure how I would feel about it either.